It's Festive time and am glad to show you this simple and easy recipe. These Coconut Snow Balls aka Truffles are so easy to make. 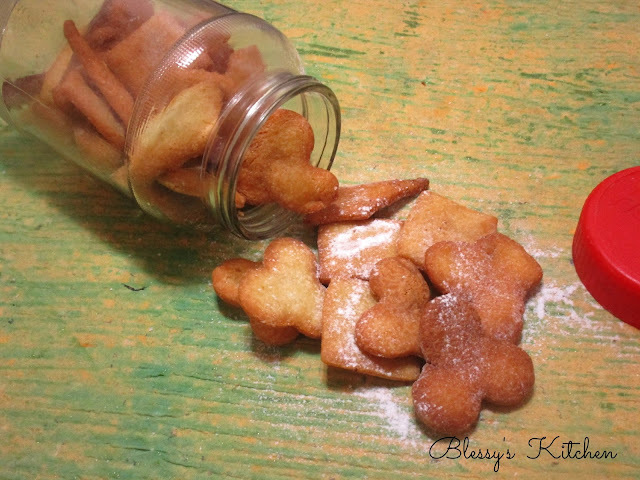 This is a Kid's friendly recipe. 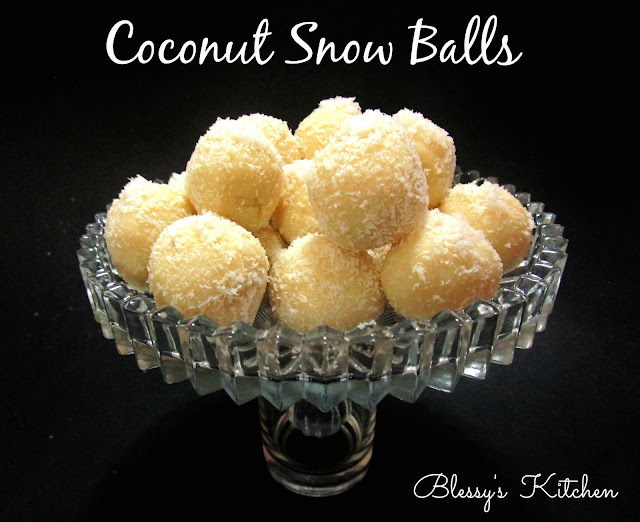 I made these balls in a simple way, you could stuff these balls with your choice of nuts or flavor with mint or orange peel. 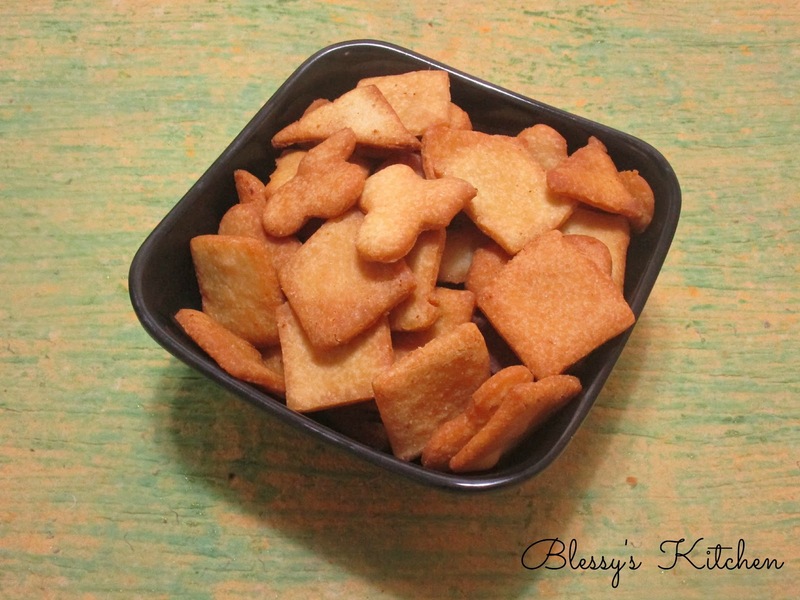 I came across this recipe in cookingwithalia channel and decided to make these. 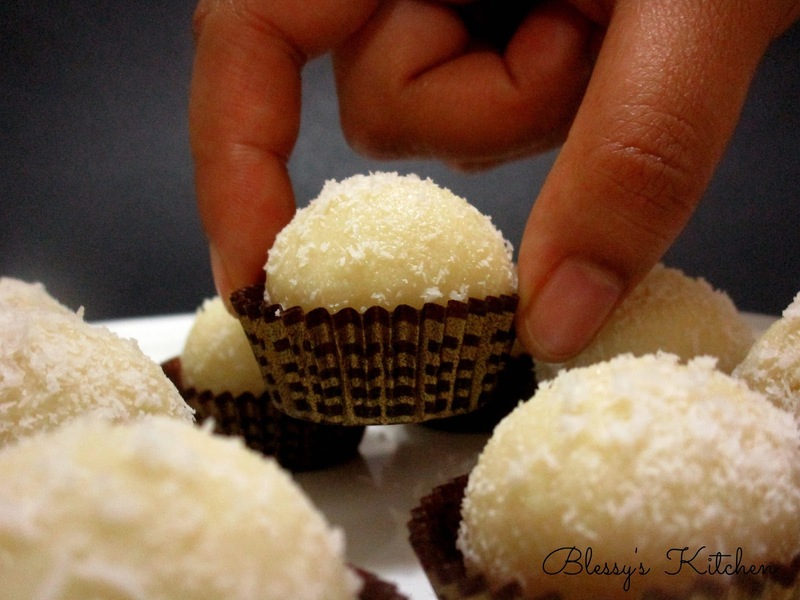 People who like coconut, should definitely give this a try! 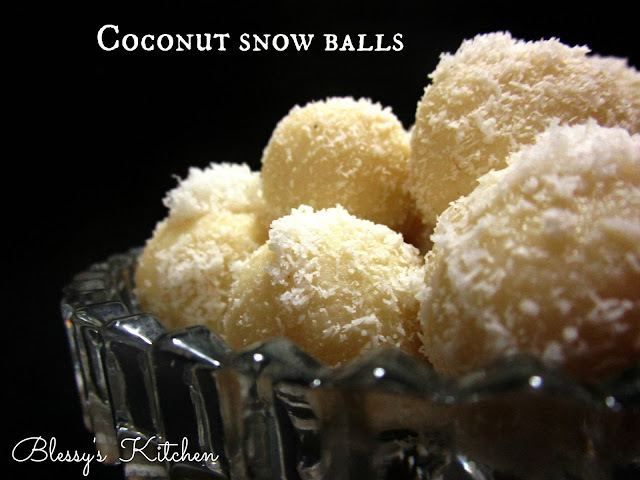 After refrigeration, remove and make it into equal size of balls and roll them in the coconut powder immediately. Notes : 1. 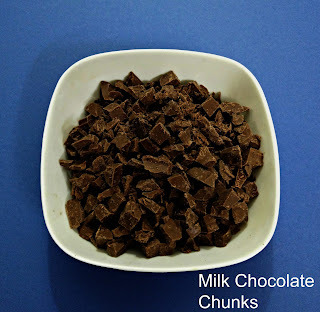 Chop the chocolate into fine chunks, so that they'll melt faster. 2. If your chocolate has not melted and there is no enough heat in the cream , pop it into the microwave for 30 seconds to 1 minute. You may find the fat getting separated , at this point mix with a spoon swiftly and everything gets set. If you don't have a microwave, do it on the double boiler. Comment below and share this easy recipe with your family and friends. 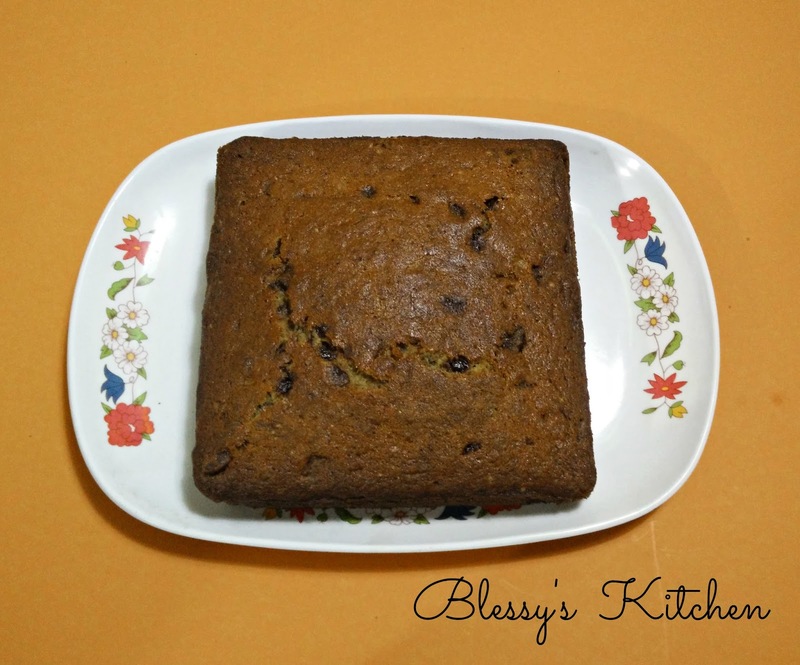 Follow Blessy's Kitchen on Facebook, Twitter and Instagram. 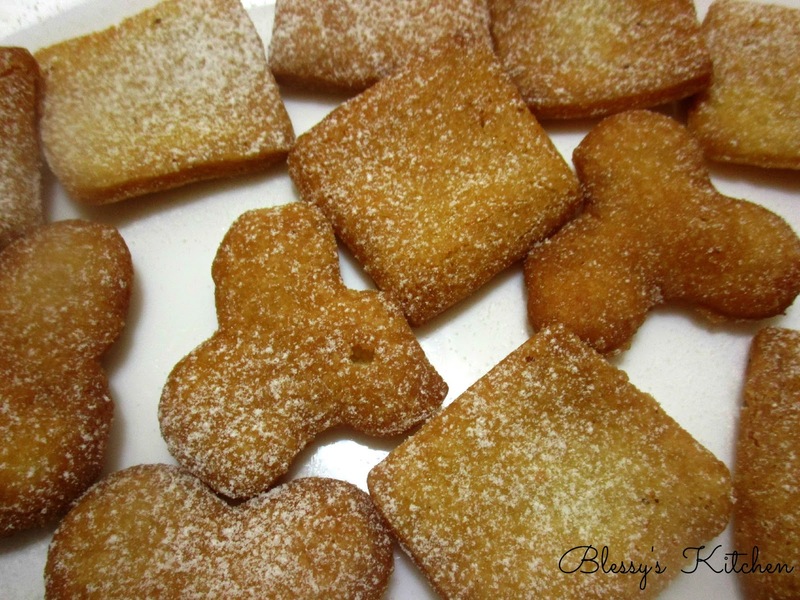 Making of these Fried cookies reminds me of my childhood days. These were prepared during the festive season in the month of December. These are one of my favorites which I'd prefer munch on. 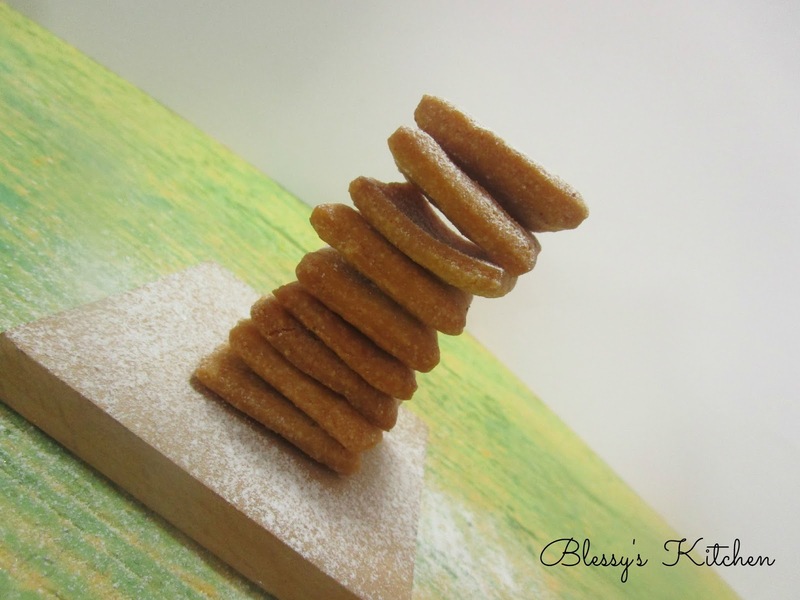 These cookies has got many names, some might even call these as doughnuts. 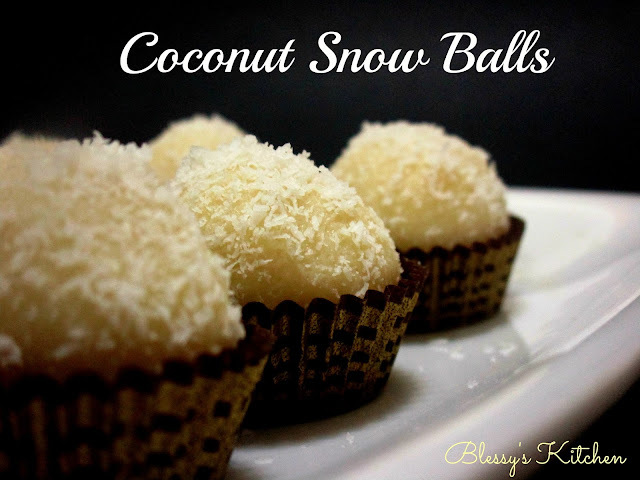 You could also make Kulkuls( shells) with this recipe. 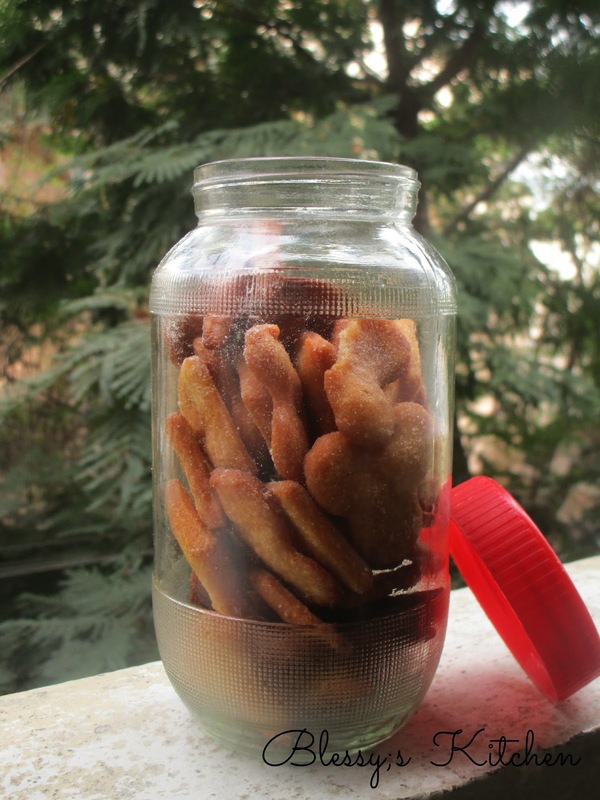 Few points to remember, fry on the medium heat, otherwise you'll end up with under cooked cookies. Also the cooking time varies according to the thickness of the cookies. Do not add water while mixing the ingredients . 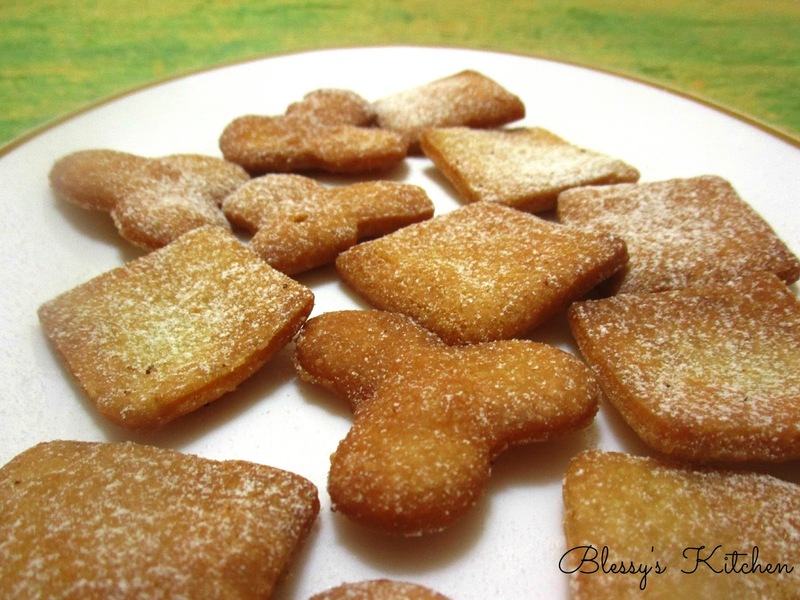 So lets start making these simple cookies! 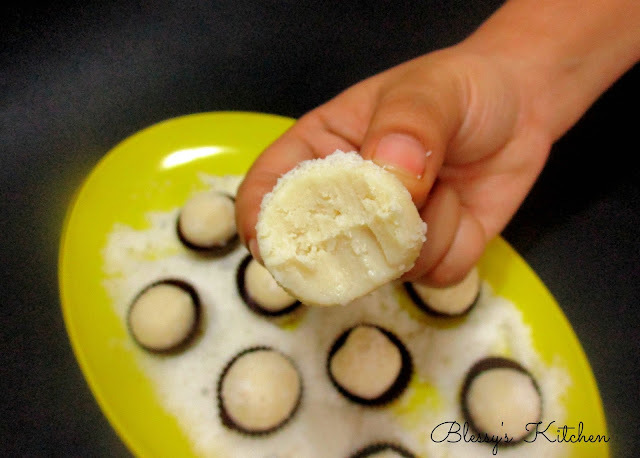 Begin by adding the butter,salt and semolina to the flour. Rub the butter into the flour mixture. (Just like how we do it for the shortcrust recipes). 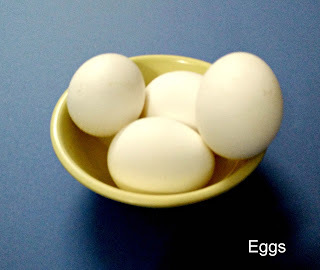 Now, beat the eggs until it goes pale. To the eggs add the sugar powder and beat well until it gets light and fluffy. Add the vanilla essence to the eggs and the sugar mixture followed by the flour mixture and make it into a Chapati/ Tortilla dough. 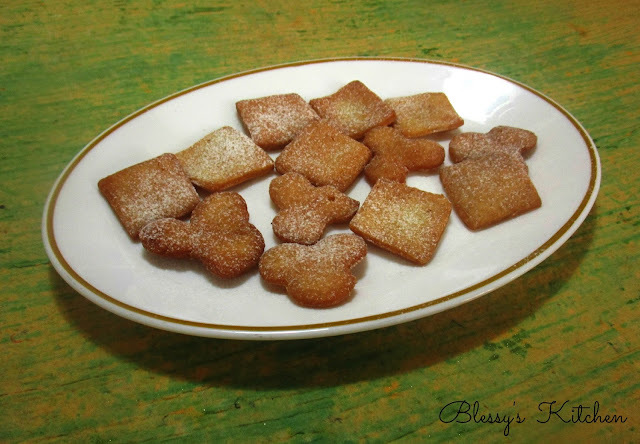 Roll out the dough, cut the shapes and deep fry them in the medium hot oil until the biscuits turn golden brown on the outside. Dust the cookies with the powdered sugar. Notes : 1. 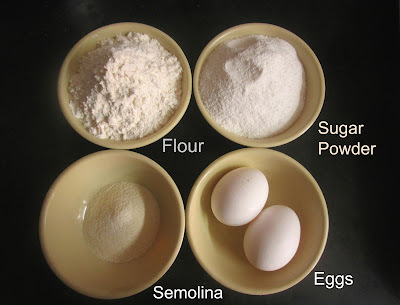 If 2 cups of flour was'nt enough to make the dough, add enough flour to form a good dough. 2. Follow the measurements , not the quantities in the pictures. 4. 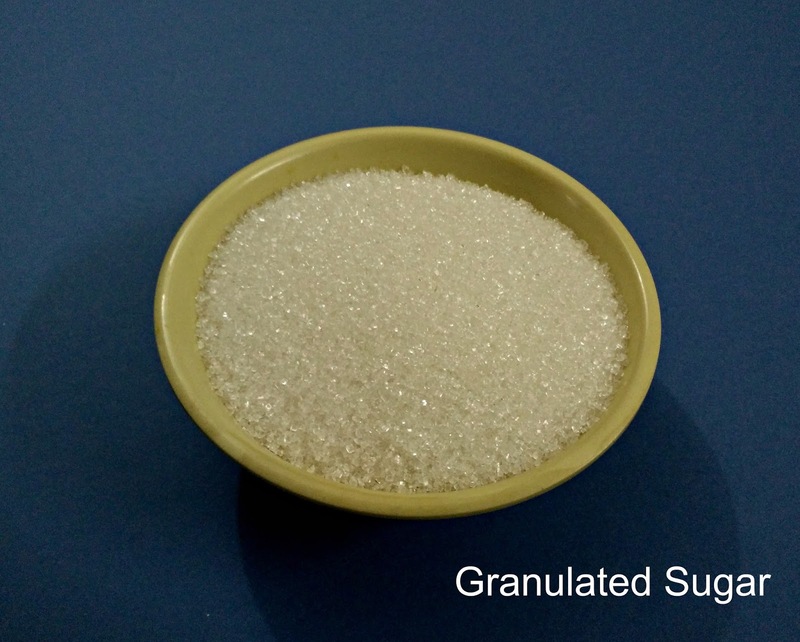 You could increase the sugar according to your taste. This is moist,soft and delish. I never got a No for this bread. 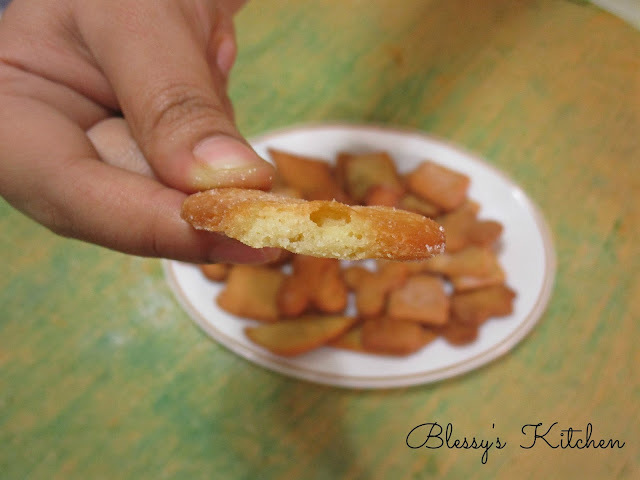 As soon as they eat this, they say, Blessy, it's super! 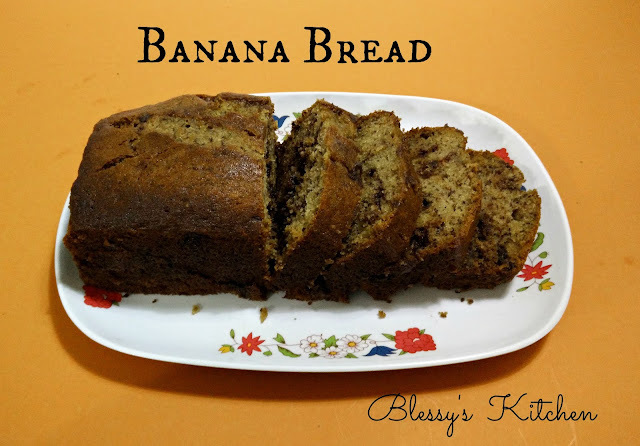 It's got that lovely banana flavor.One could use a loaf pan , muffin cups or a cake tin to make this recipe. I personally love the loaf way! 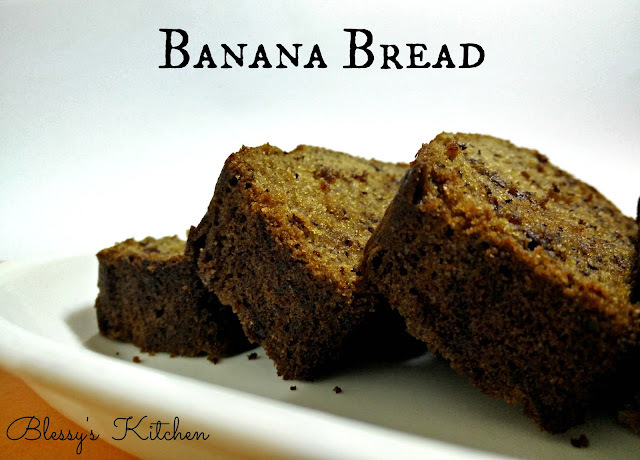 One can substitute half of the All purpose Flour / Maida with Wheat Flour for a healthy version of Banana Bread. 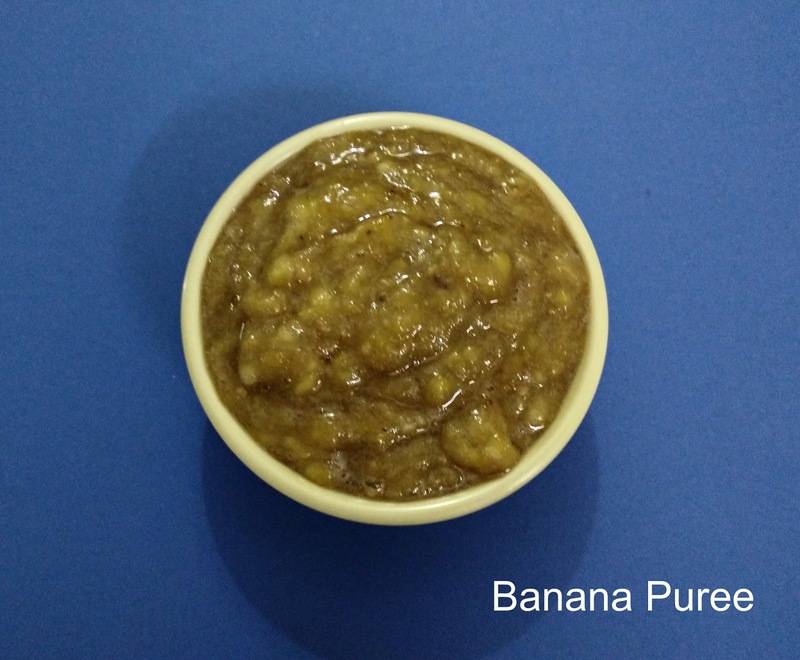 Over ripen bananas are the best for this recipe. 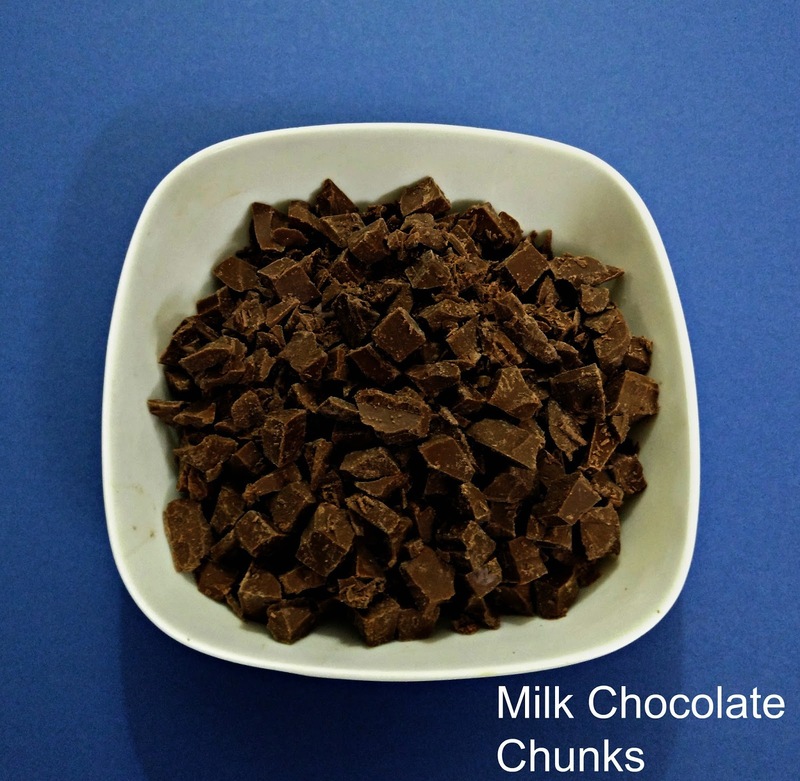 Here I have used chocolate chunks for the taste and texture . 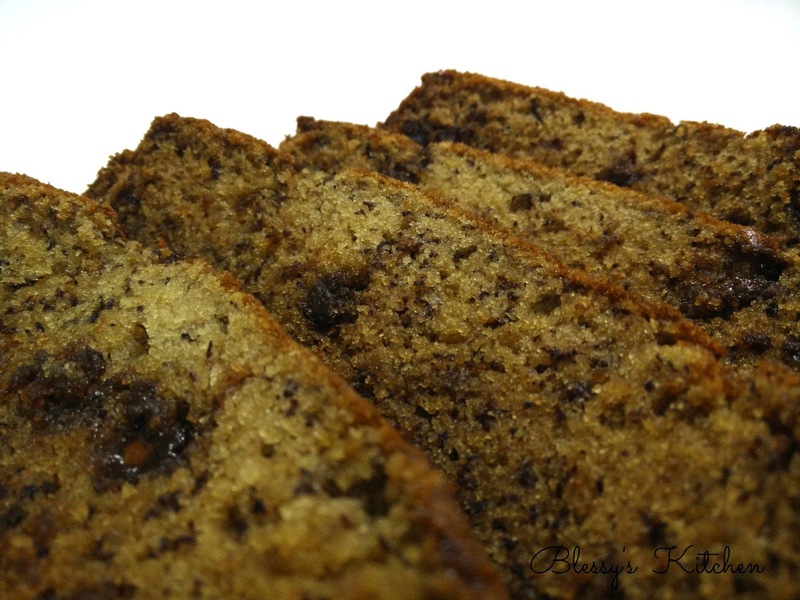 You could substitute with your own choice of nuts, combination of chocolate chips etc. 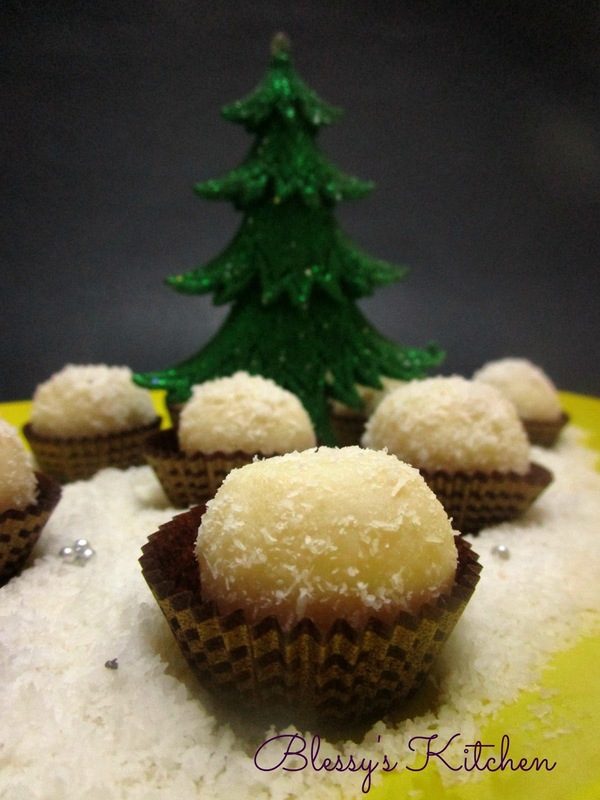 *Banana and chocolate, whatta lovely combination ya!! I wanted to make 2 loaves of Banana Bread, since I dont have 2 loaf tins, I used a square cake tin for the second batch. 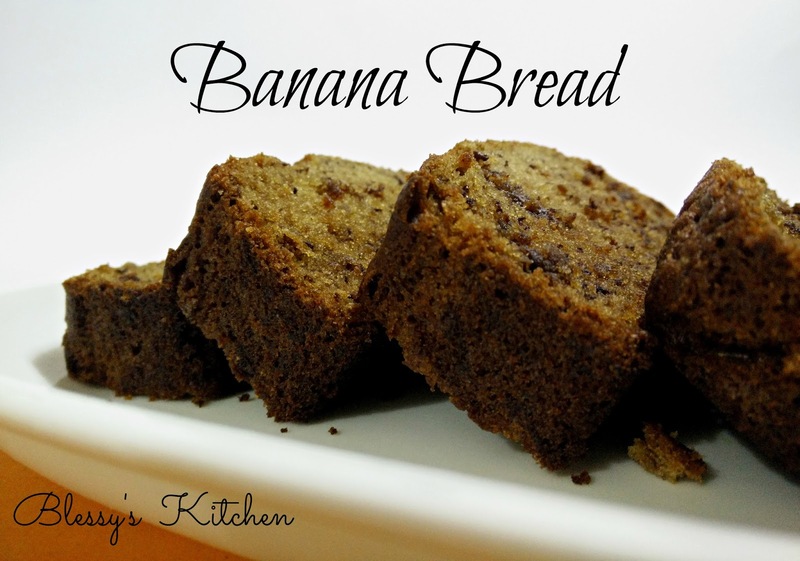 To make 1 loaf of Banana Bread, measure half the recipe which in given below. 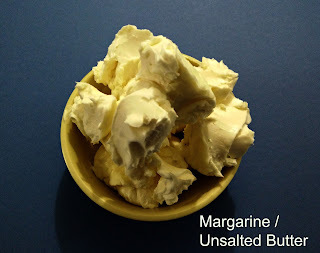 Begin by beating the butter with sugar until well combined. 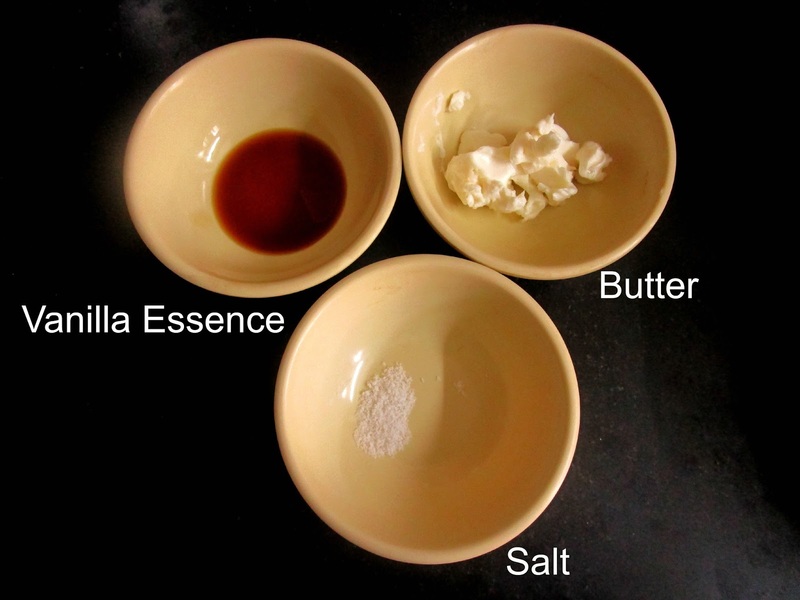 To the Butter-sugar mixture add the eggs one at a time and mix well. 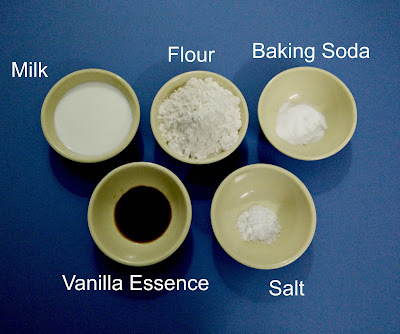 Also add the vanilla essence and mix well. 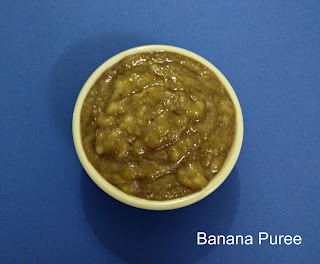 Now,add the Sifted flour( flour+baking soda+salt) slowly and mix well using a spoon/ whisk or spatula(if using a mixer), add the milk and mix, add the banana puree and mix well with the spoon /whisk or spatula. 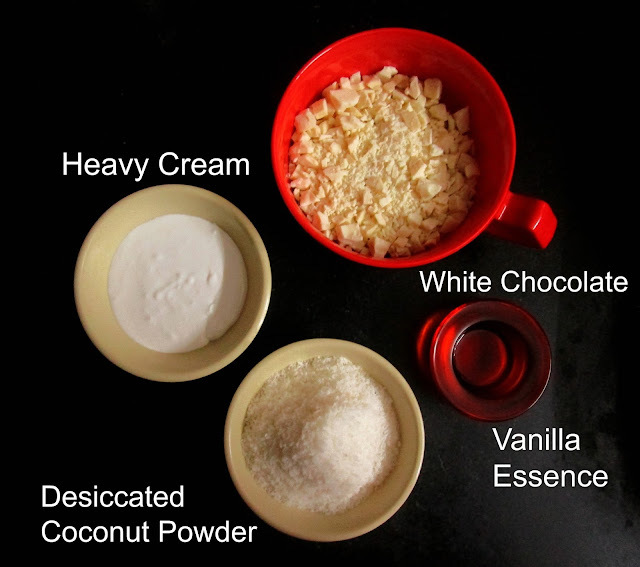 Now, switch to the mixer(if used in the previous process) and blend everything well . This should take about 1 minute. Do not over mix. Using the mixer is to ensure there are no lumps, less physical work and less time consumption. If your using a whisk/ Spoon or spatula from the beginning , continue with it. Now add the chocolate chunks, mix well and pour in the prepared loaf pans. Bake in the pre-heated oven 160 degrees C for 1 hour. (I pre-heated the oven for about 7 minutes). The loaf tin took extra 15 minutes here. as I put both the tins. If your baking only the loaf , then it would take 1 hour or until the tooth pick comes out clean when inserted in the centre. Remember, each oven's functionality is different. Keep an eye on your bread while you bake. I baked this Banana Bread/ Banana Cake in the OTG Oven. 2. Whisk the butter and sugar until the sugar gets dissolved. 3. 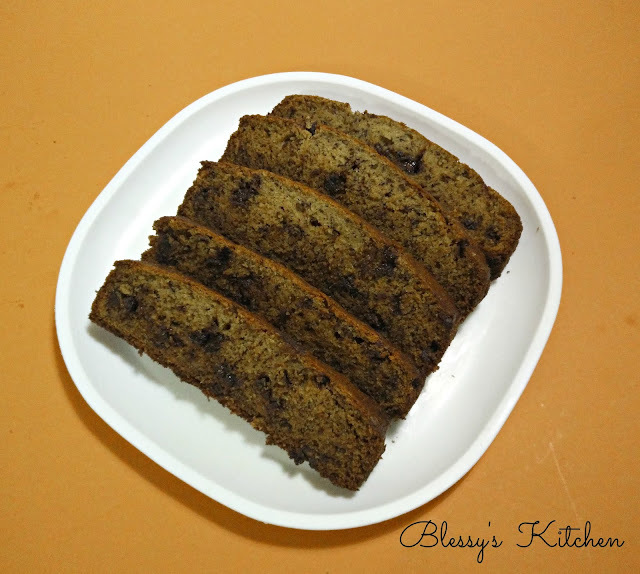 If your bread starts browning dark in color on the top, cover it with the aluminium foil after around 30 minutes. 4. New ovens gets preheated quickly and cooks food quickly. So always keep an eye on the bread. Once you understand your oven's functionalities its tension free.Set the temperature, preheat, put the food, set the time and bake!